If you’ve been researching epoxy liners in order to determine if they would work for rehabilitating your aging potable water and drain lines, you’ve probably noticed that some epoxy is blue and some epoxy is red. The primary difference is where the epoxy is placed. 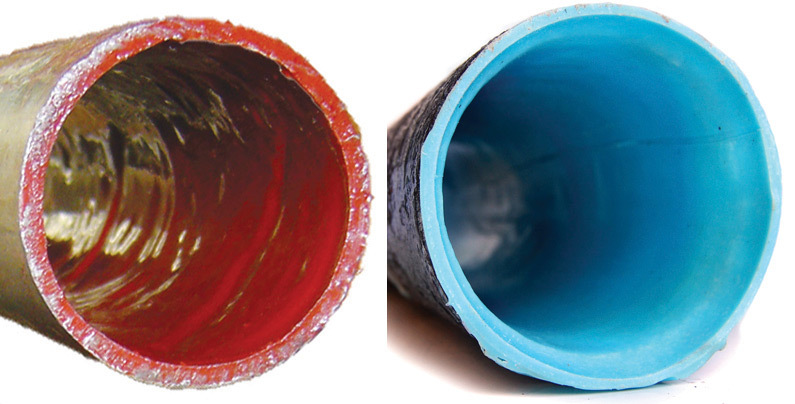 Red epoxy is most often used on potable water lines, while blue epoxy is used on drain and sewer lines. Here at Nu Flow, we use two different types of epoxy, including blue epoxy and red epoxy. 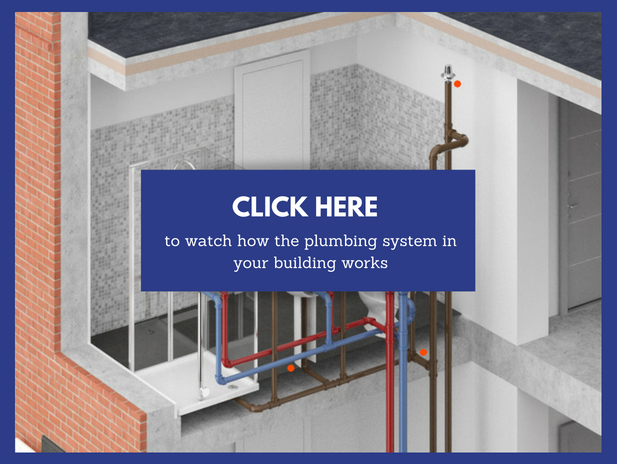 While they are extremely similar in composition, they are used in different areas of your plumbing system, depending on whether the pipes are carrying clean, potable water or removing waste from your commercial, residential or industrial building. Blue epoxy is blue in color and is often referred to as PIPP or Pull-in-Place Pipelining. It involves soaking a liner in epoxy, inserting (pulling) the liner into the pipe and using a bladder to inflate the PIPP liner until it presses against the host pipe. Once this liner is cured, it operates just like a new pipe. Since blue epoxy contains a liner, it is slightly thicker than red epoxy, which makes it slightly more durable. Red epoxy is red in color and often referred to as Cured-in-Place Pipe (CIPP). This epoxy is a type of coating that is blown through potable water lines in order to seal cracks and prevent future leaks and corrosion. Once the coating as cured in place, clean, potable water flows down the linter instead of the host pipe. Here at Nu Flow, our pipe lining technicians have the tools, experience and training to line all the pipes in your residential, commercial or industrial building, including your potable water pipes, drain lines and sewer lines, and all of our pipe lining technologies are trenchless, which means we can line pipes that are inside walls and underground without having to dig trenches or remove large sections of drywall and other finishes. In fact, we can often use existing cleanout lines and access points to install CIPP and PIPP liners. To learn more about our epoxy lining services and how they can stop leaks and extend the useful lives of your current potable water pipes and drain lines, call us at 815-790-9000.